NRMA members get a discount ~ mention when booking!! 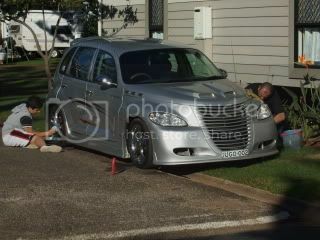 AGAIN reminder Mention the PT Cruiser Car Club when booking!! Last Edit: 1 month 4 weeks ago by electric wombat. A yes for us please. Arriving Friday evening. Leaving Tuesday. We've stayed at this place before (though in our Motorhome) and found it a great place alround and felt it was well suited to our club. Last Edit: 3 months 1 week ago by KIM LOWRIE. Liz & Steve. staying Friday- Tuesday. Steve and Liz will be attending Friday until Tuesday, we will be sharing a cabin with Chris and Kristine.